There is not often a lot of positive internet privacy to report, so it makes a refreshing change to write about not one but two good news stories. Two of the world’s biggest online tech companies have made recent announcements, both of which are a boost to those who value their online privacy. First, let’s turn to Mozilla, developers of the popular open-source web browser Firefox. At the start of the weekend, Mozilla announced that there would be a series of updates coming to Firefox over the next month. And among the changes they will be making, is to block web trackers on all sites by default. Web trackers are tools which are loaded when you open certain websites. They track your online activity and pass that data on to advertisers who then use it to target specific adverts at you. If you ever wondered how the ads you see online are weirdly specific to your interests, web trackers are the answer. But, as Mozilla made clear in their blog post announcing the move, web trackers are bad news for internet users. Firstly, there are the privacy implications of a hidden tool watching what you do online and then handing that data onto unspecified third-parties. Few people are comfortable with that. Web trackers are also fairly opaque. Few people know that they are there, and even fewer know exactly what data they are collecting. This is true of experts as well as regular internet users. Often, it takes a data breach to learn just what information has been collected. And such data breaches do happen. But the one impact of web trackers that users will experience is a poorer internet performance. Mozilla has cited a report by Ghostery from earlier this year which found that more than 50% of the time a website takes to load can be used loading these web trackers. 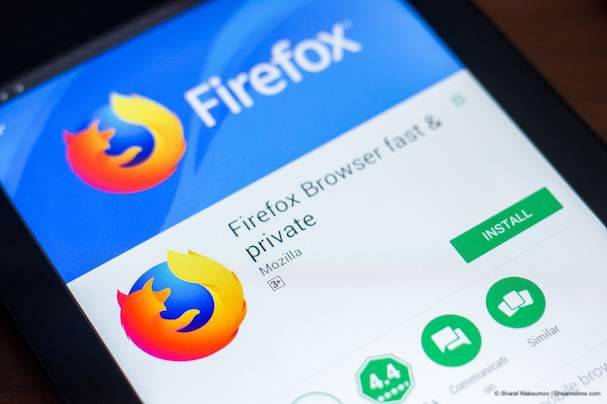 By blocking web trackers by default, Mozilla says Firefox users will experience a boost in performance as well as be put back in control of their data. They will be able to adjust their settings to allow web trackers if they want to. But, in reality, how many people want to give their data away to advertisers if given the choice? Some sites may still require that users accept web trackers before allowing them to view content. But, with Firefox, they will now have to ask users agreement rather than just downloading trackers without giving users a choice. Mozilla will be launching a beta version of Firefox which tests their new blocking next month. As well as blocking trackers, they also intend to strip cookies and block storage access from third-party tracking content too. All being well, the new features will be included in Firefox version 65 which is expected to go live in October. While Mozilla’s Firefox updates could have a positive effect on web browsing experiences, so too could Apple’s latest announcement to app developers. Previously, this rule only applied to subscription-based apps, such as Netflix. But from next month, the rule will apply to everyone across the board. According to Apple, these privacy policies cannot just be hollow vessels either. They are required to state what data an app is gathering and how that data is being used. It must also detail the developer’s data retention policies and explain how users can opt out and delete their personal data if they wish to do so. Any current apps that do not link to such a policy will not be removed from the app store for the time being. But they will not be able to push out any new updates until they have complied with the new rule. For these two entirely separate announcements to be made on the same weekend is a big boost for online privacy advocates. It shows that big tech companies are starting to realise that they need to take user privacy seriously. It is not too long ago, that it felt as if online companies could do almost anything with user data and the public didn’t really care. That is now emphatically not the case. Public awareness of online privacy and its importance has never been higher. This is demonstrated by the growth in VPN use that has been seen around the world. Internet users are increasingly voting with their feet when companies don’t do their utmost to protect user privacy. And the effect is now being seen in announcements like this, which bode very well for online privacy in the future.